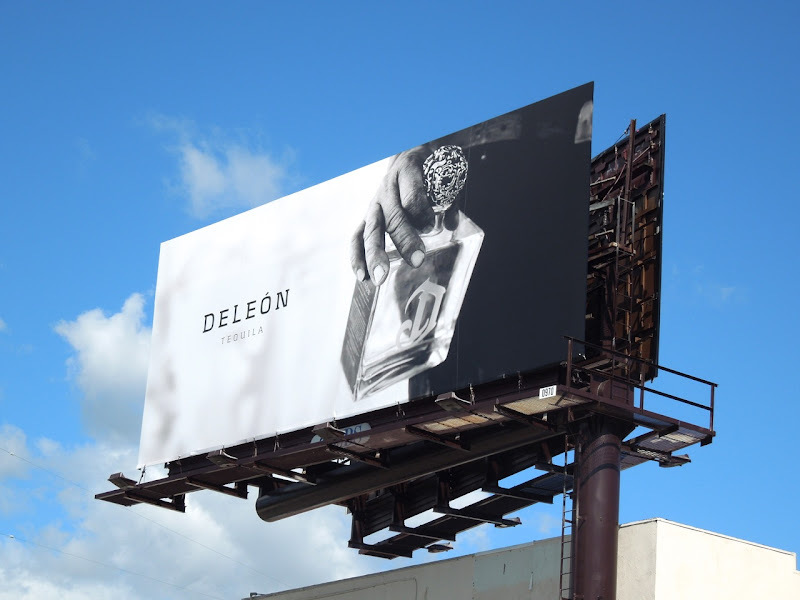 DeLeón Tequila certainly know how to sell their spirit in style. These black and white, almost cinematic looking creatives, exude an aura of mystery and coolness, which is obviously ideal for a newer entry into the tequila market wanting to establish itself as a luxury brand. 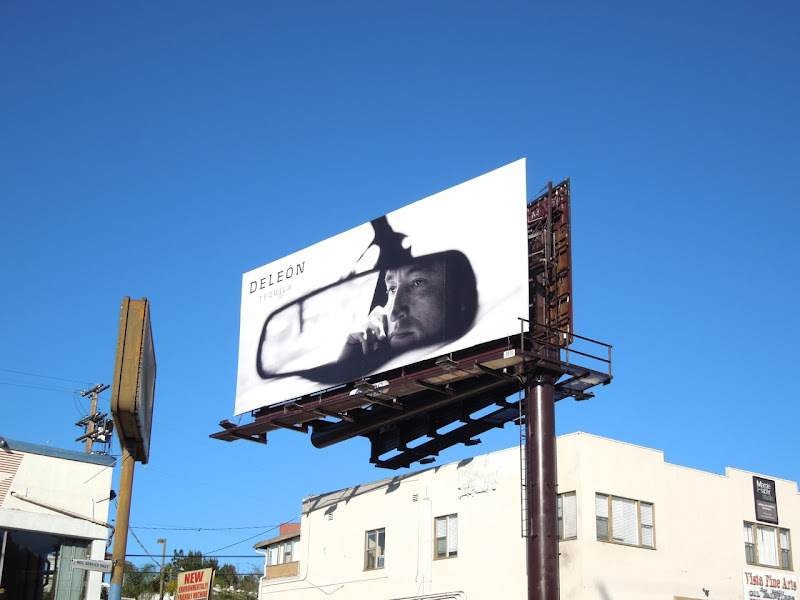 This rear view mirror creative was snapped along La Cienega Boulevard at Santa Monica Boulevard on January 11, 2013, whilst the tequila bottle version was spotted in the same location on April 14, 2012. 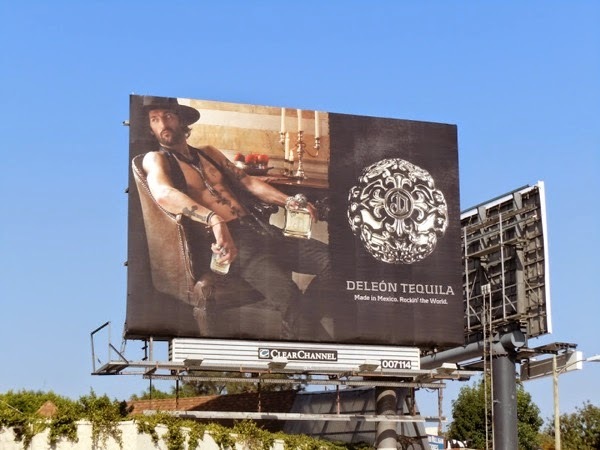 If you're a tequila fan, be sure to check out all these other tequila brand billboards from the likes of Patrón, Espolón, Herradura and Don Julio, to see how they market their products. 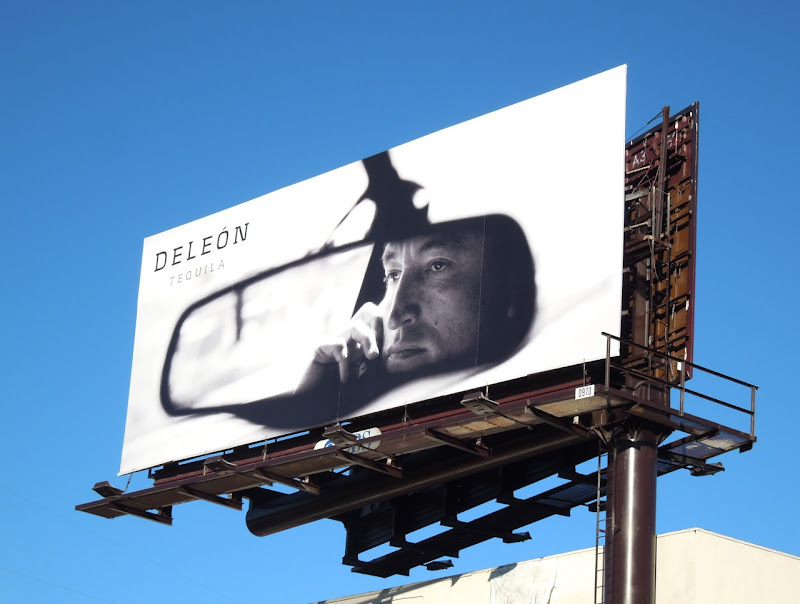 UPDATED: In addition, here's a blast from the past featuring one of Madonna's ex-boyfriends and male model, Tony Ward, in a previous DeLeón Tequila billboard from October 2010 along L.A.'s Sunset Strip.